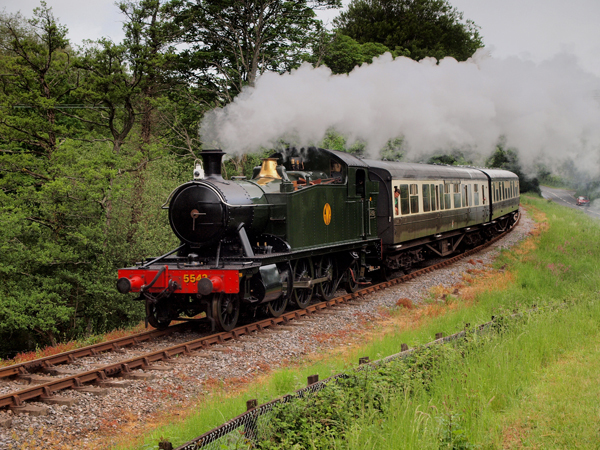 From Friday 14th to Monday 17th April 2017 there’ll be steam and diesel trains all day, a regular passenger train service, occasional goods trains, heritage vehicles & vintage buses, and an Easter egg hunt. As well as an enhanced passenger train service, we will also be running goods trains, showing the way that the railways were once the prime movers of freight traffic all around the country, and every country branch line, and most stations, had a goods shed and sidings where goods traffic was received and despatched. Locomotives expected to be in service are: GWR 0-6-0PT 1369 and visiting GWR 2-6-2T 5542. GWR 0-6-0 “2251 class” 3205 will be on display in the yard at Buckfastleigh. And for younger visitors, there’ll be Easter Egg Hunt. At Staverton station, the mid point of the railway, the platform buffet coach will be open serving hot drinks, cakes and snacks too, and a children’s book shop will operate at Totnes.